I am currently on a no-buy diet, which means that although Colourpop is coming out with new lipsitcks every week, I am forcing myself to not buy any because I don’t really need to spend more money on makeup when I already have enough. Nevertheless, I still want to get the most out of the products I do own, so I decided to play around with some of them and try something that I saw on a magazine many years ago, but never tried. Today, I am going to teach you how to create your own lipsticks with products you already have! To create your own lipsticks, you just need chapstick and any powder product. Most of us already have blush, so I wanted to start with this example. Just put a bunch of lipstick on your lips and then pack some blush on top with a brush. Because this blush does not have much pigmentation, it gives your lips a natural look. For this example, I used Jamila from “The Saharan by Juvia’s” palette. 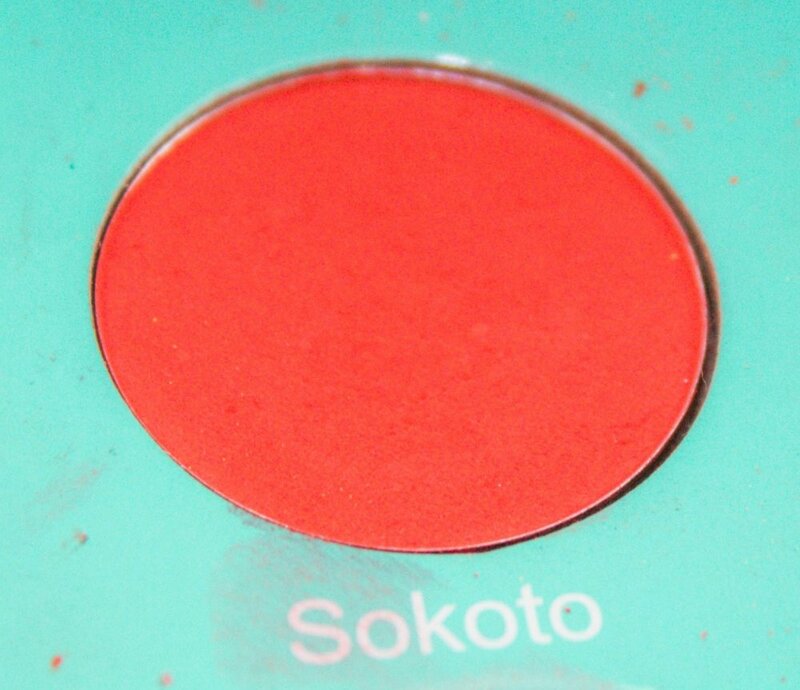 It is a beautiful shade that would work great as a blush for someone with a deeper skin tone. If you want to rock some red lips without going overboard, I highly recommend it. I have always wanted a blue lipstick, but I have never dared to buy one. I was excited when I tried out Detour from the “Mar” palette by Colourpop and it worked out. I am definetely going to wear this look more often. I decided to apply this eyeshadow with my fingers instead of a brush this time to get more pigmentation and I loved the look. I created my own metallic lipstick by putting some Sokoto on my lips and Zoya on top, both from “The Saharan by Juvia’s.” I was a big fan of metallic lipsticks back in 2016, but I stopped wearing them because it felt like it was too much. Nevertheless, this combo is making me want to go back. Because eyeshadows don’t have a thick formula, then it doesn’t make your lips look too exaggerated as metallic liquid lipsticks would. For my last look, I decided to use the same eyeshadow that I am wearing on my eyes. Sadly, this shade is no longer available at Colourpop, but I if you have any of their super shock shadows, you should try them out on your lips because they have a lot of pigmentation. I added some Boozy from the “Mar” palette on top of Midnight, but only on the middle part of my lips. 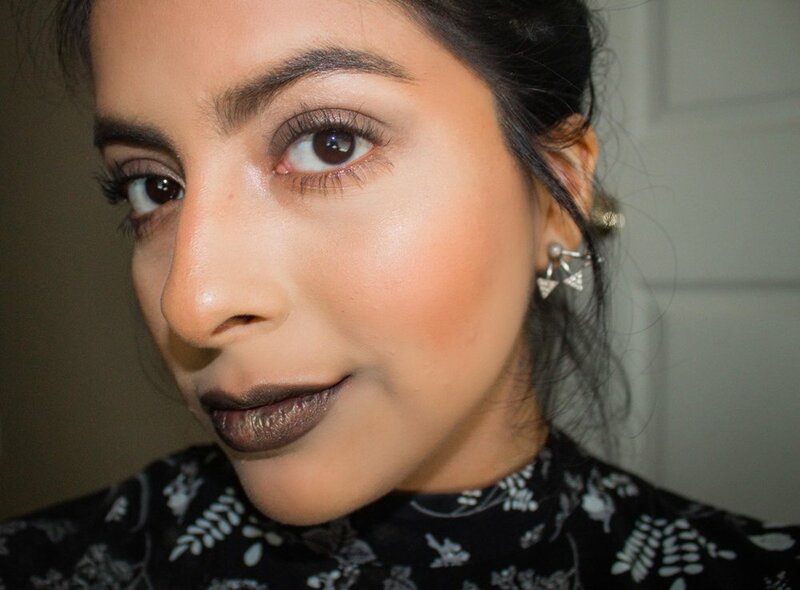 It gave my makeup a more monochromatic look and I think it would look cool on Halloween. Try out this tip on your own and let me know in the comments below how it went! Until next time!